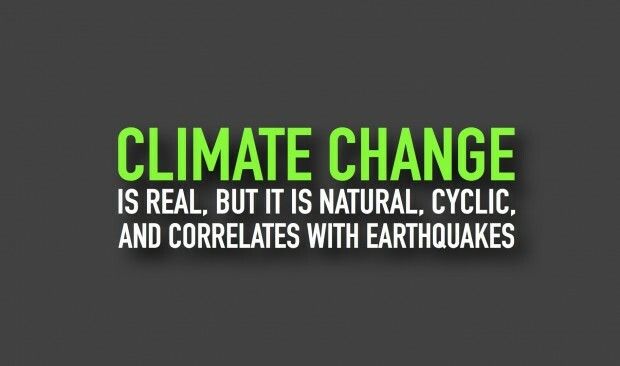 is natural and cyclic. 'Global warming' is, in fact, the result of a lack of global cooling within the previous periods 1880-1910 and 1940-1970. 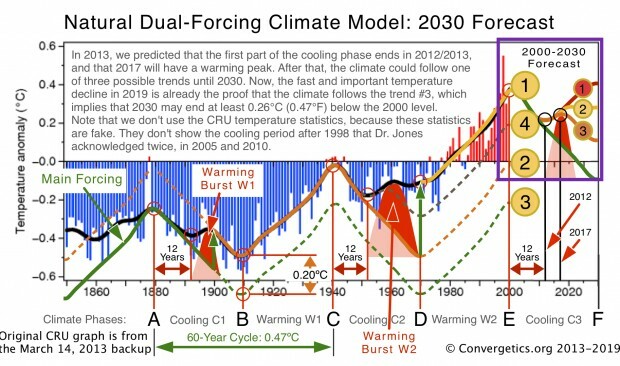 The Natural Dual-Forcing Climate Model, advances that global climate change has a 60-year cycle with two independent forcings. 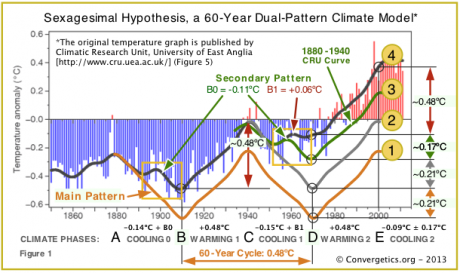 Its lengths suggests a cosmological cause. 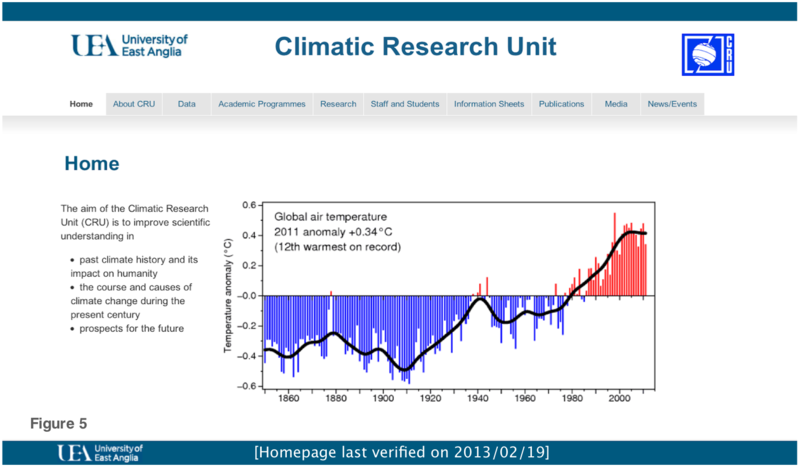 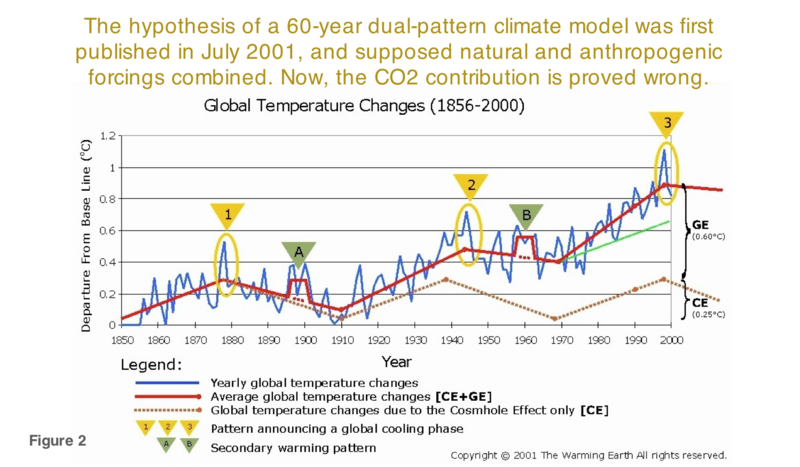 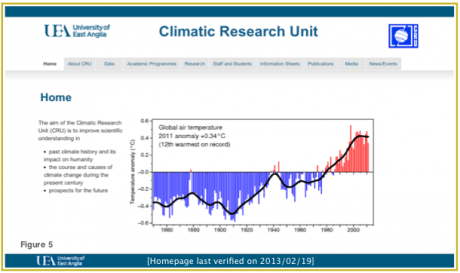 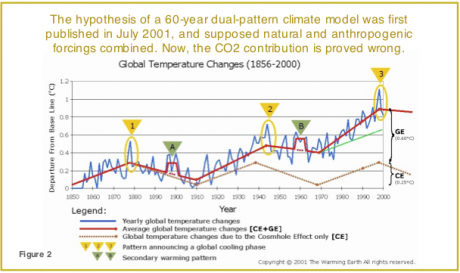 The temperature rise since the 70s, which now is considered to be anthropogenic global warming, is in fact a normal 30-year warming phase, similar to 1910-1940, but its beginning was shifted upwards by the lack of cooling of previous cooling phases. 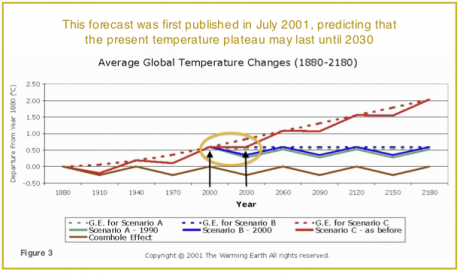 Since 2000, the globe has entered a cooling phase/temperature plateau that may last until 2030. 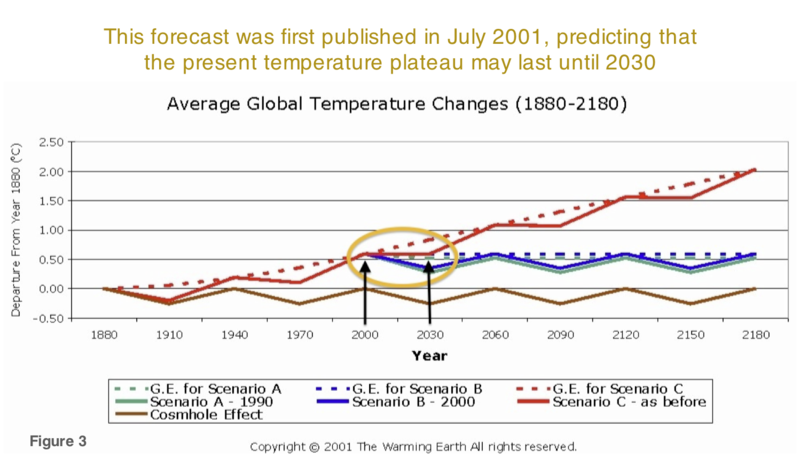 The best educated guess is that 2030 will end within -0.09°C ±0.17°C with respect to 2000, but we need to know more.